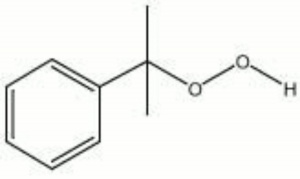 A pale color liquid often used as a catalyst for curing polyester, acrylic, and some types of silicone resins. Soluble in ethanol, acetone, esters, hydrocarbons, chlorinated hydrocarbons. Slightly soluble in water. Toxic by inhalation and skin absorption. Flammable. Flash point =79C. May explode if decomposed by sunlight or acids. This page was last edited on 13 January 2014, at 14:04.